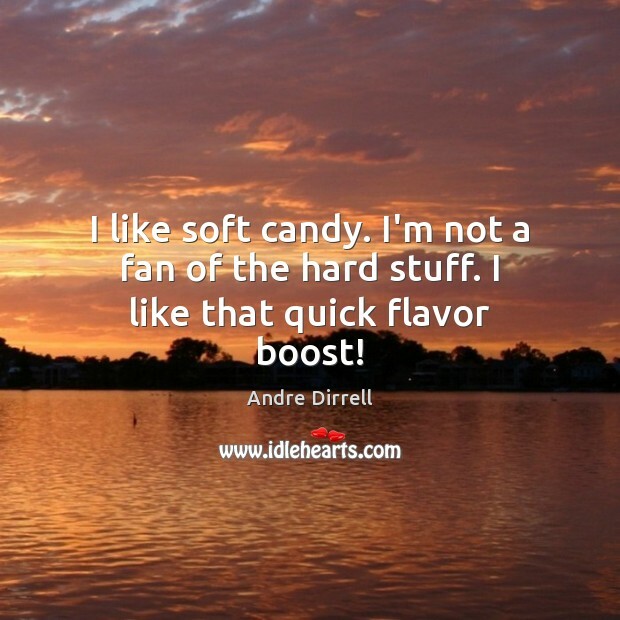 Enjoy the best inspirational, motivational, positive, funny and famous quotes by Andre Dirrell. Use words and picture quotations to push forward and inspire you keep going in life! I like soft candy. I'm not a fan of the hard stuff. I like that quick flavor boost! I'm a festive guy to begin with and Halloween is my favorite holiday. I went all out on this one costume. It's a ghoul that makes me approximately 10 feet tall when I wear it. 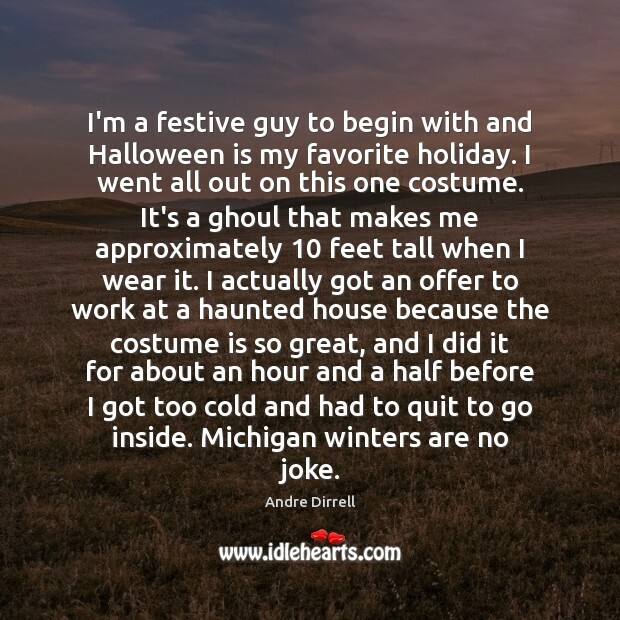 I actually got an offer to work at a haunted house because the costume is so great, and I did it for about an hour and a half before I got too cold and had to quit to go inside. Michigan winters are no joke. I might get scared of a really big dog, but I don't scare easy. As a youngster I used to watch all the scary stuff by myself, so nothing really gets to me now. 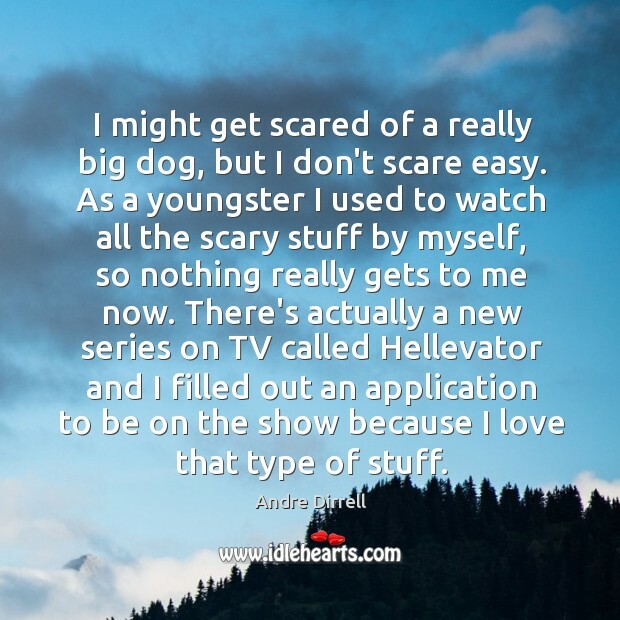 There's actually a new series on TV called Hellevator and I filled out an application to be on the show because I love that type of stuff. Scary movies are my favorite. My kids love Hocus Pocus. 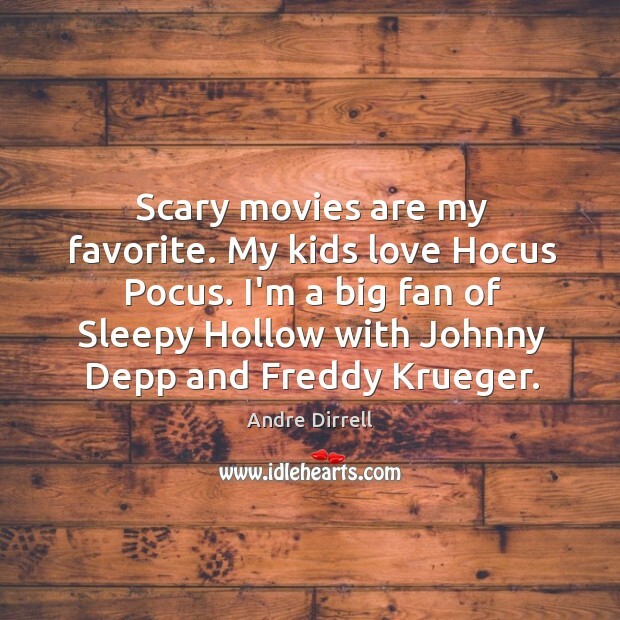 I'm a big fan of Sleepy Hollow with Johnny Depp and Freddy Krueger.